It cannot be debated that Abby Anderson is an up-and-coming singer/songwriter that you should be paying attention to. With recognition from Pandora as a 2018 Country Artist to Watch, from CMT as a 2018 Next Woman of Country and as a Listen Up Artist “18 for 2018,” and from The Boot as a 2018 Artist to Watch the country music community has certainly taken note of her. Her debut EP, ‘I’m Good‘ was just released September 7th and contains 5 confident pop-country songs that touch on love and heartbreak. The 21-year-old Texas native is living up to our expectations with her bold sound and solid debut EP. 1.) ‘I’m Good’- Written by Abby Anderson, April Geesbreght, and Jason Massey. Impression: The title song of this EP sets the tone with prominent base, a pop vibe, and a confident message. Abby is sure that she is better off without this guy in her life, no matter what tactics he tries to get her back. She makes it clear by responding, ‘I’m Good’ just as you would to any little offer you aren’t interested in. Favorite Lyrics: No more feeling sorry for myself, our history books are on the shelf. What’s done is done. There’s nothing else to say. 2.) ‘Make Him Wait’- Written by Abby Anderson, Josh Kerr, and Tom Douglass. Impression: ‘Make Him Wait’ slows things down to accompany its more serious tone. It touches on the popular advice to take things slow when dating someone new. A backdrop of piano complements vivid imagery of many milestones in a developing relationship. In the true fashion of country music, the song blends a moral message and with lyrics that tell a relatable story. Favorite Lyrics: Walk slow, take your time, while your daddy cries and your momma smiles, when they’re throwing rice into the air, and those tin cans roll away. 3.) ‘This Feeling’- Written by Abby Anderson, Jesse Frasure, and Jimmy Robbins. Impression: The feeling of falling for someone is the focus of ‘This Feeling.’ It perfectly describes the sensation that falling in love can change you as a person. She explains, This is uncharted territory, A whole new chapter in the story. The chorus showcases the power in her voice as Abby belts out, I’m not used to this feeling, I think I could get used to this feeling. Favorite Lyrics: Doing things I don’t and I don’t understand how inhibitions turn to keys in the ignition, I’m driving fast and I’m not holding back. 4.) ‘Dance Away My Broken Heart’- Written by Ashley Gorley, Jesse Frasure, Kelsea Ballerini, Rhett Akins, and Thomas Rhett. Impression: ‘Dance Away My Broken Heart’ fittingly sounds like a dance song. The lyrics incite the carefree courage you need to move on and get out again after a nasty breakup. A form of therapy, dancing helps her to shake off these scars as the first step in healing her heart. Favorite Lyrics: It’s a couple steps to the left, I forget how he left. Then move to the right, and it starts to feel alright again. Drop it low ’cause I ain’t feeling low no more. 5.) ‘Naked Truth’- Written by Abby Anderson, Jason Deere, and Kent Blazy. Impression: The final track on the ‘I’m Good’ EP tells the complete story of finding out that your man has been sneaking around. A transformation occurs from the start of the song with an admission that she has been crying to the end describing a mountain top epiphany. Abby sings confidently that this man has no place in her life and that it is a win for her. Favorite Lyrics: Wham Bam Instagram, She never shoulda posted that with my man. 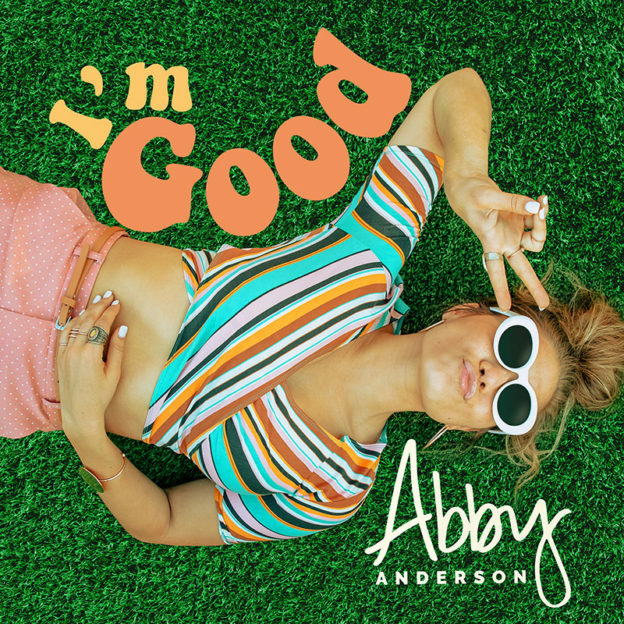 Make sure to listen to and download the ‘I’m Good‘ EP and keep up with Abby Anderson on her Facebook, Instagram, Twitter, and Website. She currently has two shows scheduled in New England, opening for Brett Eldredge on his The Long Way Tour. Tickets are still available for the shows in Kingston, RI on October 11th and in Manchester, NH on October 13th. This entry was posted in Home page blog, Reviews and tagged Abby Anderson, EP, EP Review, I'm Good, NECM, New England Country Music on September 26, 2018 by AlissaNECM.